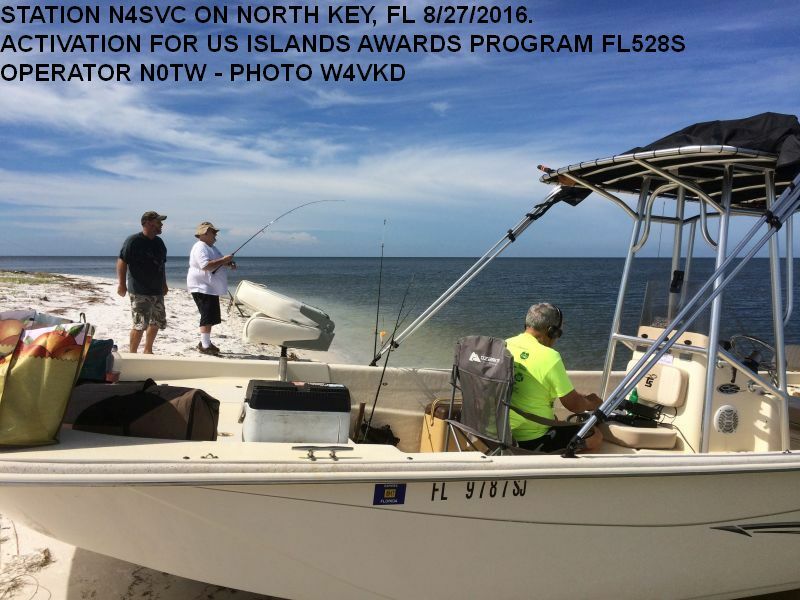 On August 27, 2016, members of the Suwannee Amateur Radio Club participated in two events from North Key Island, FL (Cedar Keys). N4SVC operated in the US Islands Awards Program to qualify the island for the first time. It is now designated FL528S. Station W4VKD/4 operated in the PODXS070 August PSK Expedition. Participants this year were Bill W4NQP, Jon KD4AMP, Terry N0TW, Pat W4VKD and our great Skipper-Kevin. Besides fishing for QSO’s we had some luck fishing for Redfish and Trout. As we shake the sand out of our gear we’re already wondering which island to activate next year. The Cedar Keys suffered greatly under Hurricane Hermine just one week later but we have no doubt the resilient people there will quickly rebound.